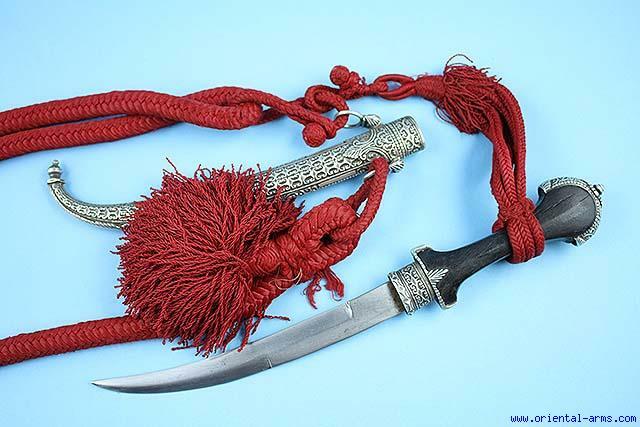 Up for sale is this very fine example of a Moroccan Koumaya dagger, circa 1900. 8 inches blade. Wood handle. Very finely chiseled heavy silver handle mounts and scabbard with carrying rings. Original red silk baldric belt. Total length 16 inches. Very good plus condition.